"The real luxury of shoes lies in the pleasure of slipping them on," says Gianvito Rossi of his expertly crafted footwear. 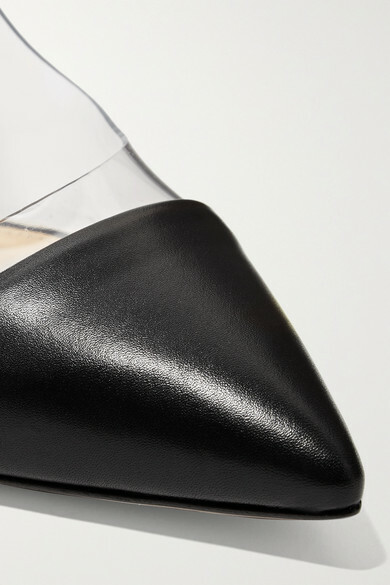 Made in Italy with an elegant point toe and slim heel, these timeless PVC-paneled black leather pumps will work with everything from weekend denim to cocktail dresses. Shown here with: Victoria Beckham Knitwear, Victoria Beckham Pants, Givenchy Clutch.